It’s only been a decade since the very first iPhone was launched, and yet it seems as if smartphones and tablets have been with us forever. With smart technology improving in leaps and bounds, we’re willing to bet that even the most fiscally conservative and careful of us have upgraded and replaced their devices a couple of times over that decade. But even though you probably wouldn’t dream of going back to your old phone once you receive your new one, there’s no need to just chuck your old phone into a drawer and never look at it again. As incredible as your current tech is, it’s not been that long since your old device was similarly impressive, and despite the outdated looks and specs, there’s a lot of good it can do. While it probably won’t see time as your daily driver again (unless something terrible happens to your current device), an older smartphone or tablet can easily adapt to life in a variety of roles. Don’t waste an old device’s potential — here are some of the most useful and fun ways you can repurpose them, so they don’t end up in a dark drawer. There are many options for home security cameras out there now, but why pay for an expensive camera when your old phone will work just as well? After all, what’s a security camera but a video camera with a network connection? Even the oldest smartphones have those features, making an unused smartphone the perfect way to keep an eye on your property, watch your baby from another room, or keep an eye on a beloved pet while at work. There are a bunch of apps that allow old phones to become security cameras, but our favorite is Alfred. Available for both iOS and Android, this app allows any Wi-Fi connected phone to broadcast its camera feed to any other phone attached to the same account. There’s no limit on the number of cameras you can attach on a single account and it supports automatic motion detected recording, a low-light filter, and a two-way walkie-talkie. Alfred’s service is made safe and secure via a Gmail account login, and while there are no limits on the free version, upgrading to the paid version will remove ads and add HD recordings, 30-day storage, and zoom for just $4 a month. 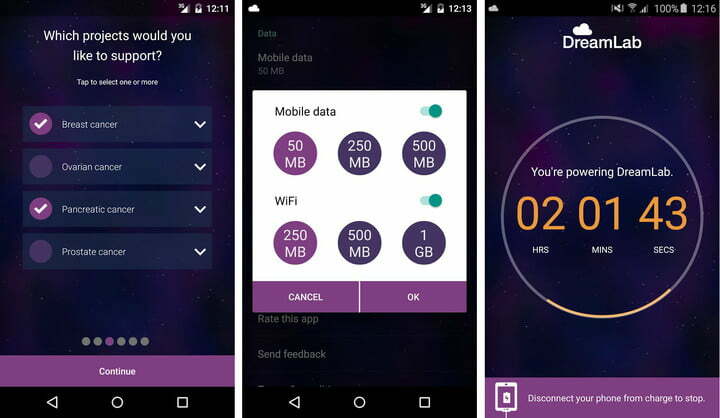 If you just want an end to the ads, you can make a one-off payment of $17 for Alfred Plus. In order to make sure your camera sits securely the whole time you’re away, we recommend investing in an adjustable phone stand, so you can set it in place and be sure it won’t move or fall over. With devices like Google’s Chromecast, Amazon’s Fire Stick, and smart TVs allowing us to digitally toss media from one device to another, and interconnected smart home devices like Nest and Hue becoming ever more common, using an old device as a dedicated way to keep your media-tossing and smart home skulduggery easily accessible is a great idea. Even better, getting a phone or tablet set up as a smart home or media streaming center is really easy. If your device is a bit old and creaky, it’s best to start by clearing off as many unnecessary apps and as much data as possible. Then head over to the Google Play Store or iTunes to download whichever streaming apps you need, along with any tools you use — Google Home, Amazon Fire TV Remote, Nest, or otherwise. 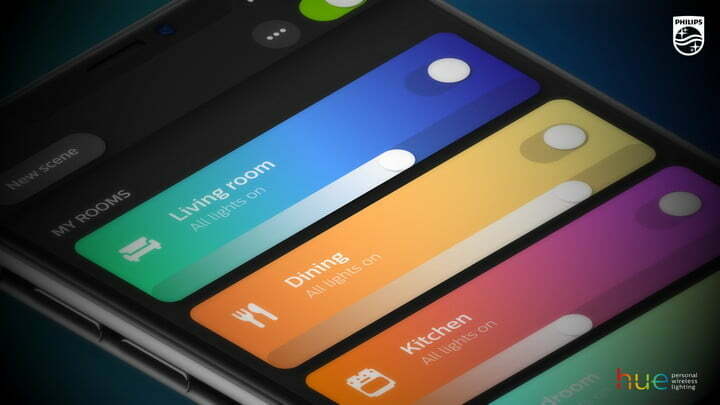 Then all you need to do is connect it to the same Wi-Fi network as your smart home devices, and you’re ready to control everything. As an added bonus, if your device comes equipped with an IR emitter — like the Honor 8 — then you can also use it as a TV remote with the right TV remote app. An old phone or tablet can make a fantastic alternative to an expensive GPS tracker when combined with the right holder and charger. Most phones with GPS don’t need a data connection or phone signal to use GPS, so it’s one of the few features that will function without Wi-Fi and a SIM card, and that means your phone can function as a decent GPS tracker. Granted, the relative power of the GPS tracker in your old phone won’t be as good as units specially manufactured to be GPS trackers, but your old phone will still work well enough to ensure that you don’t need to waste your primary phone’s battery on navigation. Start by clearing unneeded apps from your device. 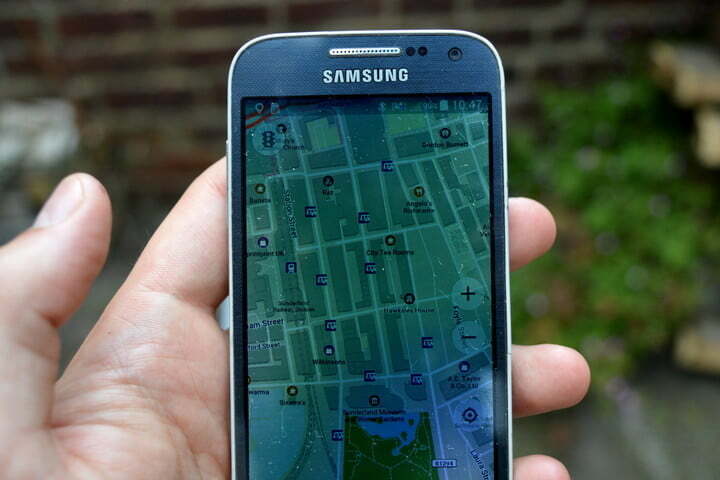 Then install one of the best navigation apps and download whichever map areas you’ll need so they’re available offline. Finally, attach your old phone to a car holder, bicycle mount, or waterproof case for hiking, and voilà — you’re good to go. This idea does come with caveats. Your device will still guzzle power at its previous rate, especially if it’s using high-accuracy GPS, and it will have its limits. It’s important to make sure that your old phone isn’t your only navigational lifeline if you’re headed out into the wilderness. It should not be your only hope. 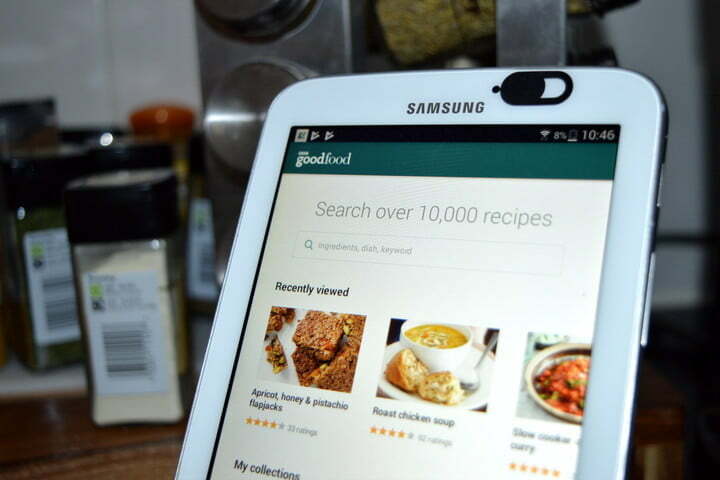 Cookbooks and recipes used to be commonplace in the kitchen, and while many of us still collect those bulky tomes, they have been largely replaced by Google and recipe repositories like BBC Good Food or Yummly. An old tablet or large phone offers an ideal way to make sure you can keep an eye on your recipes without subjecting your primary device to the rigors of culinary life, which include dough fingers and a steamy environment. An easy way to set an older device up as a kitchen helper is to invest in a stand (for easy visibility) and set your device’s screen to the longest possible screen timer. On an Android device, you’ll normally find that under Settings > Display > Screen timeout (or some variant thereof), while on iOS devices, you’ll want to head to Settings > Display & Brightness > Auto-Lock, then set it to the longest possible time, or Never. That way, you’ll be able to glance over at any time and see the next step in your recipe. If your device is powerful enough to handle more than one task at a time, you can also use it with a Bluetooth speaker to pump out the tunes or podcasts while you work. While the joy of a paper book is something that’ll never fade, there are certain advantages to ebook readers and reading apps. Online shopping gives you instant access to millions of books and magazines, and the humble ebook reader can take hundreds of ebooks and not put on a pound. Though tablets and phones don’t have the E Ink displays that mimic paper and make true ebook readers easy to see in sunlight, they’re still not a bad way to read a bunch of books on the go. 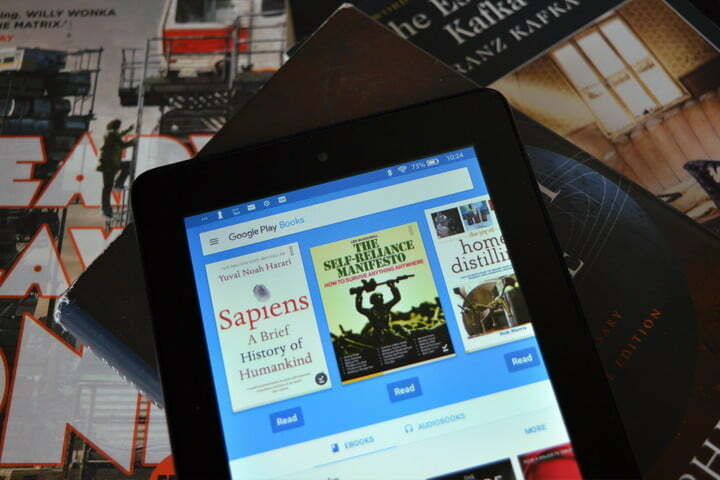 This is another easy one to set up — just download some ebook reading apps like Amazon Kindle, Google Play Books, or Bluefire, and get to downloading some books. If you don’t have a large selection of ebooks, Project Gutenberg has a ton of free titles you can get started on, or you can browse various sales or deal sites like Humble Bundle. 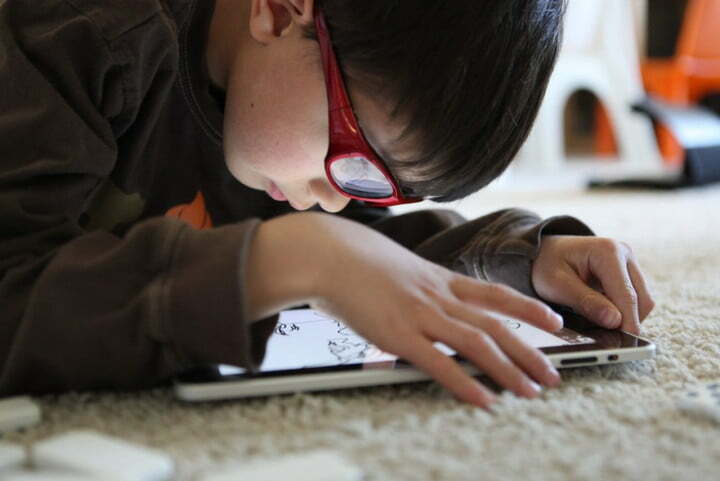 While you might be comfortable investing in a new device for older kids (here are some of the best phones for kids), giving one to a younger child can be a recipe for disaster and a broken device. Thankfully, an older phone or tablet you’re not quite as invested in is the perfect device to serve as a stalwart companion for a smaller child and can provide hours worth of entertainment. Since any device used by a child is likely to be tossed around, it’s worth investing in some sort of tough case that can take punishment. Amazon’s Child Proof Kindle case is a great example of a protective case, but it depends on what’s available for your particular phone. Take the time to have a good look, because a good case can mean the difference between continued use and a completely broken device. Once that’s out of the way, you have some options for setting up the device. 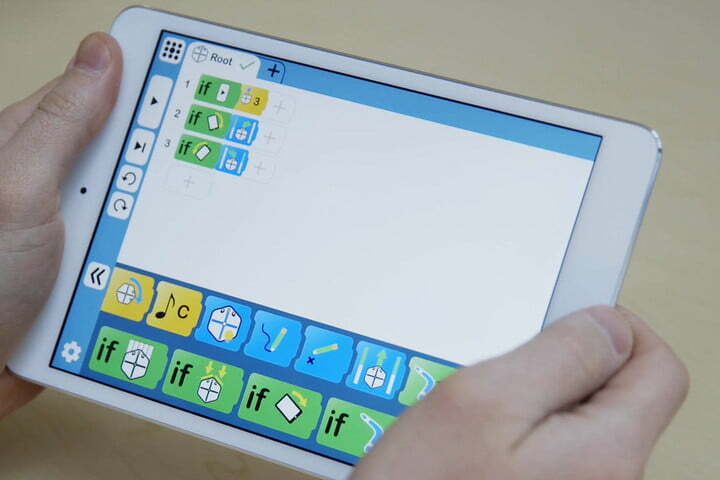 Make sure to install some of the best parental control apps for iOS and Android to make sure your child’s time is well spent, but also check out the more entertaining apps for kids that will have them playing and learning at the same time. Finally, YouTube for Kids is a great way to allow your young child access to the world’s biggest video site, without worry about inappropriate content. Addicted to FaceTime and Skype? Video calling is the best way to get face-to-face with someone far away, and all you need is a front-facing camera and a network connection. 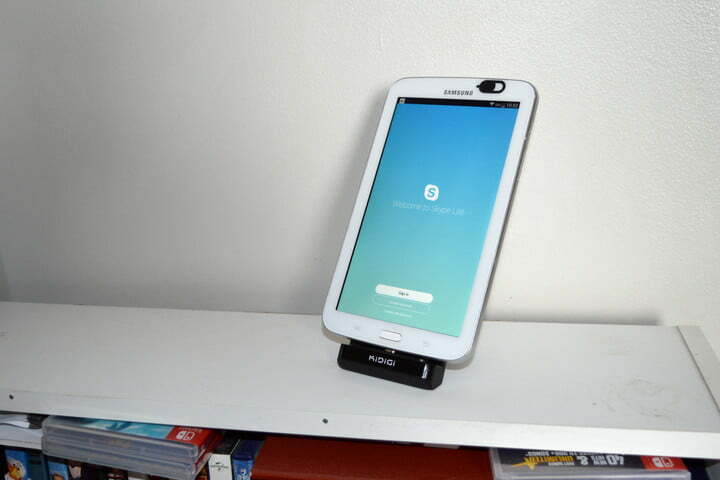 Since your old device likely has both of those, why not use it to make easy video calls? 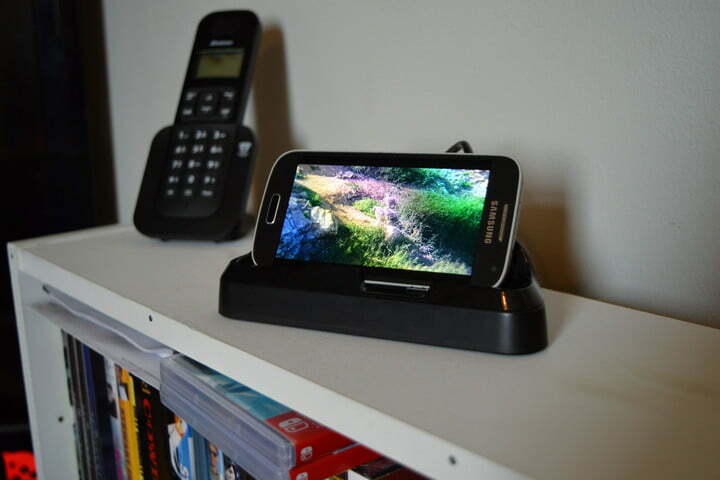 A cheap and adjustable device stand and an attached charging cable is all that’s needed to make sure that your device doesn’t need to be held and won’t run out of power during a call. From there, it’s as easy as signing into your favorite video-calling services and calling your family and friends on your newly repurposed device. Best of all, if you need to move somewhere else, you can just pick your device up and take it with you. Digital photo frames aren’t as in vogue as they were, but if you want to show off your latest holiday snaps, then the large screen of that old tablet could be perfect. An Android app like Dayframe allows you to show off your photos in a curated slideshow, and even includes Chromecast support. If you’re a Google Photos user, then Google’s app also has built-in slideshow options. Just log in to your account, enter your chosen album, tap the first photo, then tap the three dots in the top right and select Slideshow. Then just sit back and enjoy your photos. If you don’t fancy showing off your photos, why not make your device a window on the world? The addition of an app like EarthCam for iOS and Android allows users to stream real-time webcams, and can be an excellent way to use an otherwise idle screen. 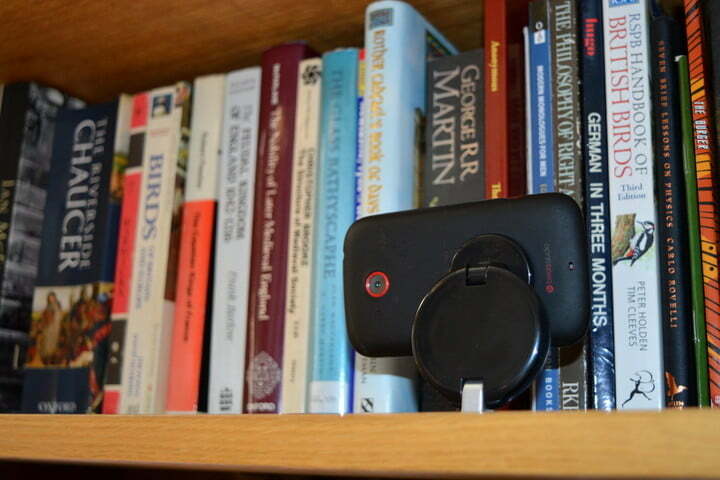 Many people use their phones as alarms already, so why not put an old device to use for waking you up in the morning? With the addition of a dock or simple stand and one of our favorite alarm apps for iOS and Android, your old device can wake you up in the morning and serve as a desk clock at all other times. If you don’t have much use for an alarm clock, why not use your device as a desk calendar? 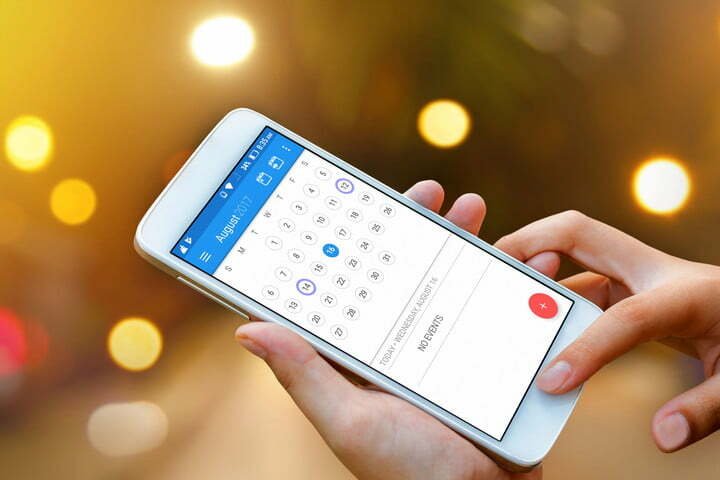 Many of our favorite calendar apps for iOS and Android would make fantastic productivity tools for the busy among us, and a dedicated device with a long screen time-out could be a great way to keep an eye on your upcoming appointments and engagements. If you really don’t have any use for your old device, you could always just get rid of it. Consider recycling, selling, or donating it. Smart devices use very small amounts of precious materials, and manufacturers are always happy to get the chance to reclaim those materials and use them again — so you can rest happy knowing your old phone or tablet has been reborn as a brand-new device. There are many options for recycling smart devices, and it’s worth checking out whether there are any local companies offering the service. The Environmental Protection Agency has a good list of where you can get started, with LG and Samsung among the manufacturers that would be happy to take back old devices. Alternatively, if it’s a relatively new device, there could be some cash to be made on it. Services like Gazelle will buy your phone from you, or you can simply hop over to eBay and see what your phone is worth to the right person. 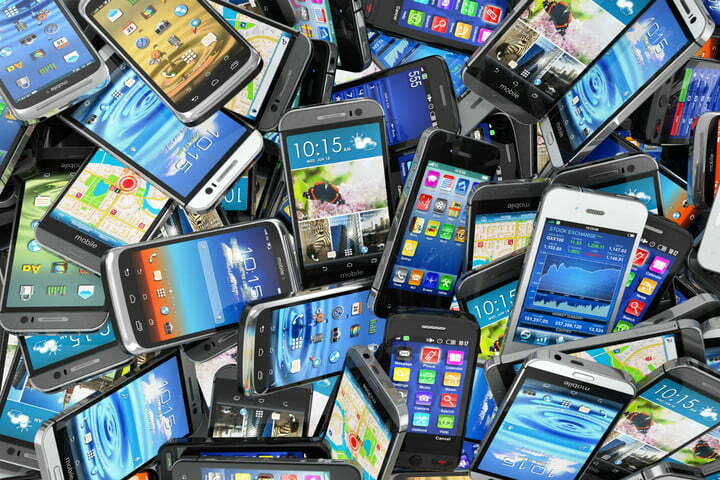 Check out how to sell your smartphone for a complete guide to getting the best price. If there’s still some life in your old phone, but it’s really not worth much, maybe it could be put to use by someone less fortunate than you. 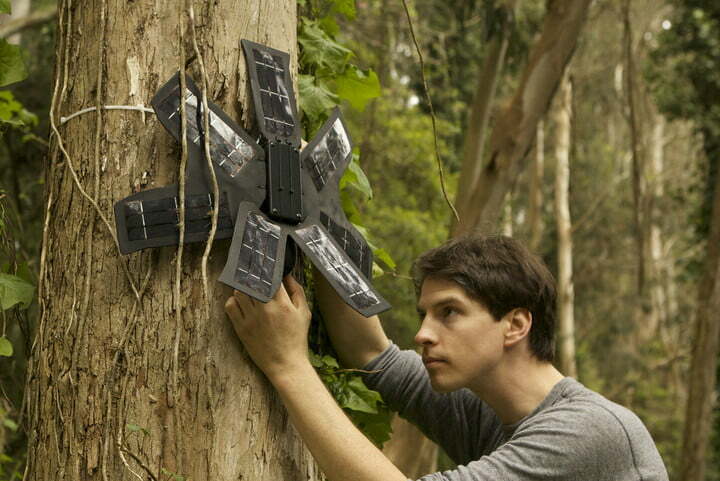 MedicMobile, Cell Phones for Soldiers, and Rainforest Connection are three great charities that put old phones to good use. However, make sure you’ve properly wiped your Android or iOS device of all your personal data before passing it over to someone else.